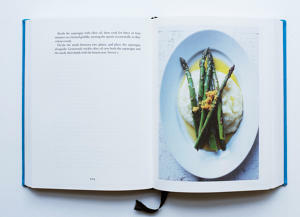 Nigel Slater - The Kitchen Diaries volume iii. The Kitchen Diaries volume iii. A Y E A R O F G O O D E A T I N G. The third volume in The Kitchen Diaries trilogy, published in September 2015. 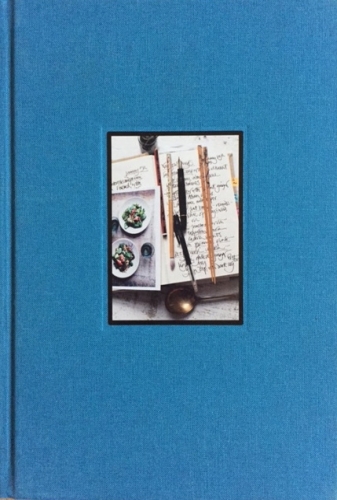 A collection of diary entries, recipes and stories from the last few years in my kitchen. There are recipes for both everyday and special occasions, including 100 quick ideas for everyday eating. 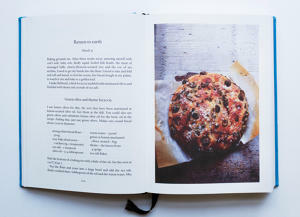 The advance to a new, compact format makes the book easier to use in the kitchen. (Each of the books has its own character, they are not designed to look 'matchy-matchy' on a shelf.) Despite its 545 pages, the new smaller format book is now less weighty and more comfortable to read. Thank you for all your lovely emails, tweets and instagrams. Within these covers are notes on pig's cheeks; steamed puddings; roasting ribs; the importance of basting and the fun of Instagram. There are little essays on making tempura in Japan; eating radishes and making gazpacho; Chinese plum sauce and the joy of crackling. 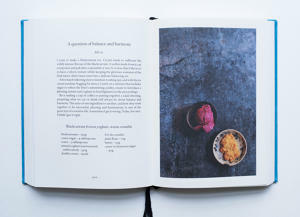 This volume has 130 recipes, 82 of which contain no meat or fish. The most popular of which have been the Asparagus and Roquefort Tart; Roast Ribs with Creamed Cauliflower; Prune Apricot and Chorizo Stew; Grilled Langoustines and the Chocolate Peanut Butter Cheesecake. 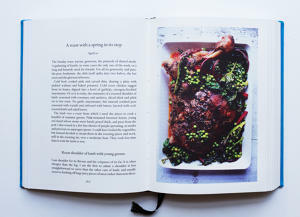 The book contains four separate, seasonal sections of quick recipes particularly suited to mid-week evenings. Ideas such as Aubergines with Chermoula; Lamb with Chickpeas and Feta; Sausages with Summer Vegetables; Lentils with Couscous and Wheat with Peppers and Artichokes can be made in less than an hour. Kitchen Diaries volume iii is probably my favourite of The Diaries. 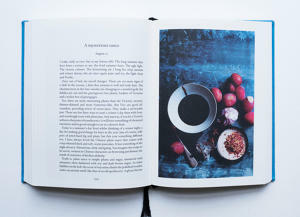 Published in hardback, it contains 545 pages, is fully bound in blue linen, and has 150 photographs by Jonathan Lovekin. 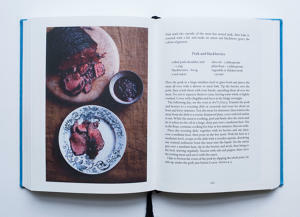 Designed by David Pearson, it is set in Monotype Haarlemmer and printed by Mohn Media Monhndruck. The kitchen is never silent. Even now, at 5 a.m and still dark, there is the sound of muffled footsteps on the paving stones outside, of drunken revellers weaving their way home. At the back of the house, the constant drip of water, as regular as a ticking clock on a mantlepiece, falling into the paved courtyard outside the kitchen window. A then it starts, a favourite sound - like that of a crackling wood fire or snowfal in a forest - the patter of heavy rain.